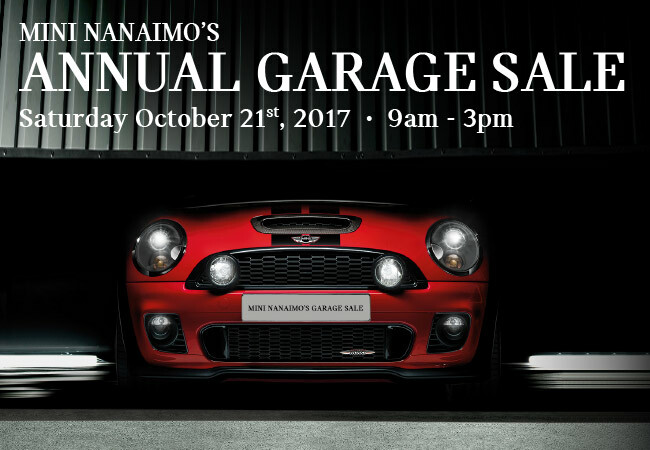 Motor over to MINI Nanaimo on Saturday October 21st for huge savings off all parts & accessories to outfit your MINI with & special one day pricing on ALL in-stock vehicles. Don't miss out on exclusive offers cold weather wheel and tire packages as well as loose tires. Enjoy a complimentary BBQ, refreshments & prizes to be won.